MCR Guam won the prestigious Guam Housing Corporation Affordable Housing Design Awards in 2014. In summer of 2015, MCR Guam, partnering with Pacific Rim Land Development, (PRLD), will build two model homes at the Sagan Linyahan subdivision in Dededo. Both homes are models that will be open for public viewing for the rest of the year and are built as demonstration homes for the Affordable Housing Initiative. The GHC Affordable Housing Initiative is a government sponsored housing program designed to bring home ownership to all Guamanians. The land is provided by Chamorro Land Trust Commission and the program is administered by GHC. 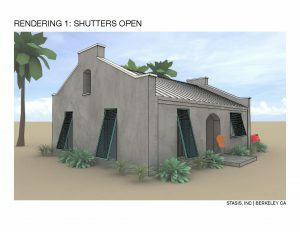 The GHC Design Invitation was created to deliver low cost housing and to introduce new and affordable technologies to Guam residential construction. MCR Guam, with PRLD, has designed our houses to withstand typhoons and the rigors of Guam’s Tropical environment. The houses look like typical concrete homes but utilize economical and wind resistive construction methods. The roofs can be concrete or metal and can be combined with MCR Guam’s Virtual Mass PCM Systems for 30-70% air conditioning cost reduction. For more information on the GHC Affordable Housing, contact GHC or click here. Opening in summer of 2015, MCR Guam and PRLD will open two model homes for Guam Housing Authority under the Affordable Housing Program. The model homes will serve as demonstration houses and will remain open for up to one year and will showcase new and innovative construction and energy conservation methods. 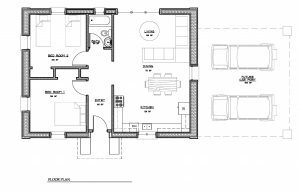 The maximum price for the base models is limited to $100,000 and will include two bedrooms, one bath and provide expansion capacity designed into the base models to build out as families grow. The houses are engineered for Guam’s climate and typhoons and incorporate MCR Guam’s patented Virtual Mass PCM Energy Reduction materials and assemblies which reduce the use of electricity used for air conditioning. One house will showcase the passive Virtual Mass PCM system which reduces air con costs by over 30% and the other house incorporates the active Virtual Mass PCM system which reduces air con cost by 70%, when compared to a conventional concrete built and air conditioned home of similar size on Guam. 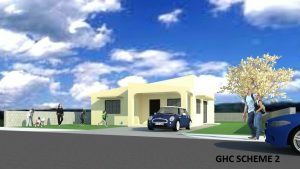 In addition to the two demonstration houses being built, MCR Guam and PRLD have designs complete for other low cost homes which can be built under the GHC program. The Affordable Housing Program is open to Guam residents who qualify. For more information contact Guam Housing Corporation, or click here. The key to long life for Guam homes is choosing the right structural system, selected for initial cost, ease and cost of maintenance, and durability. We can design homes that meet your requirements out of several structural systems, including conventional concrete, cast in place or tilt up, CMU block, ICF foam and concrete, Structural Insulated Concrete Panels, pre engineered steel and light gage steel framing systems. All of our systems are engineered for Guam climates and environmental loads, including typhoon winds and storms. Our structural framing systems are engineer certified, meet all Guam Building Codes, including Fire and Safety, meet or exceed the Tropical Energy Code for Guam and are fully insurable. Our homes are designed for ease of operation and long life while remaining affordable.